ReStart Homes is a Lehigh Valley real estate solutions company providing help to those who need to sell a house fast in Easton, Allentown and Bethlehem, PA, as well as those looking for home selling services and beautiful renovations. We specialize in providing vital help to homeowners in need of selling a home. We assist homeowners who chose to list with services to sell their homes as quick as possible. We renovate homes and give them a beautiful restart. We build and offer brand new homes for sale in Lehigh Valley for those looking for a fresh start in a space that will give them all the advantages they need. Scott brings the construction expertise and fine craftsmanship to the business which he developed from home remodeling and fine furniture building, while Jessica provides the design work and staging services. 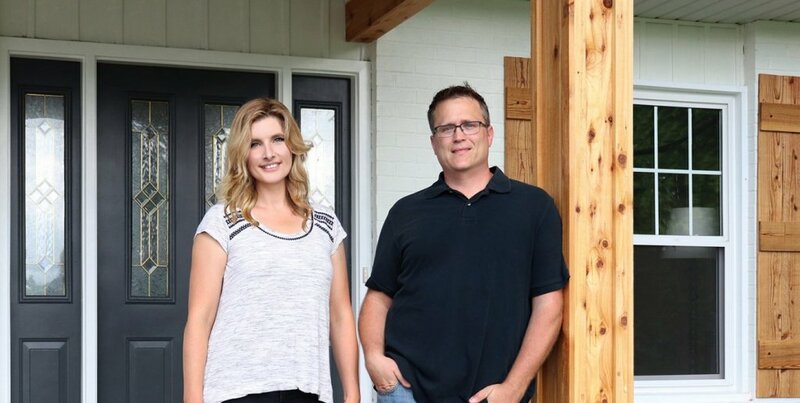 Prior to founding ReStart Homes, LLC, Jessica began working with a builder while studying design that delivers on both functionality and beauty at the University of London, Ontario. At the time Scott had his own business as an illustrator and graphic designer. They met at a local church and soon after Jessica left university they married and were soon blessed with children. Today they love blessing others with their talents and the benefit of their experience as they pursue their passion of home remodeling and real estate through flipping and renovating homes together. Jessica and Scott Holwick have built ReStart Homes to fill a void in the market, by bringing personal service to one of the most important parts of life (our homes), creating a culture of respecting and truly helping home buyers and sellers, and doing a beautiful job in the process. Scott and Jessica love being active in the business, carefully curating the right materials and supervising renovations, and being present and personally meeting with clients to consult them honestly on their best real estate options. We believe : “A good name is rather to be chosen than great riches” (Proverbs 22:1). Let’s write the next chapter in your story together. Whether you are selling a home to move on to and gain a new restart with something better, or are simply looking for a beautiful new home which inspires and empowers you to live life to its fullest, we’d love to take the next step in the journey with you. It all starts with dialing these ten simple digits on your phone 484.546.0868.